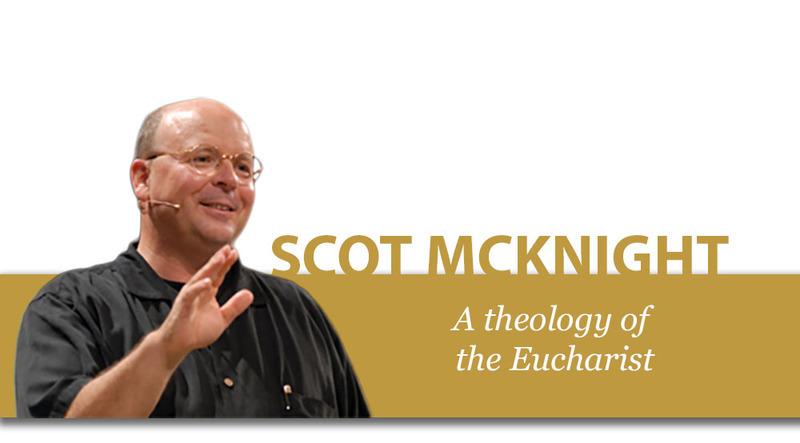 As most of you have seen and heard through the foray of social media, prolific New Testament scholar and theologian Scot McKnight will be joining us at the Practice this Sunday to share the first step of our journey into Eucharist and Mission-a theology of the Eucharist. Scot first came into my life while I was attempting my undergrad in biblical studies and “required” to read his book The Blue Parakeet for a course on studying the bible. In the book, Scot encourages Christians to embrace the full bible, not just what’s comfortable or easy to read but to be challenged and convicted by the complexity, the ambiguity, the beauty and the mystery of God’s Word. Being a sophomore at the time with a multitude of questions, I remember with every page I read having this feeling of utter relief- here finally was a respected scholar of the bible acknowledging the difficult questions that can arise and yet still pushing further up and further in to the depths. wonders and joys of our Christian faith. Since my first encounter with Scot’s work, he has been a trusted guide on a host of other issues- from his examination of what the Gospel truly is in his book The King Jesus Gospel, to his powerfully clear explanation of Jesus’ call to discipleship in The Jesus Creed, to his most recent books about the church and the kingdom entitled Kingdom Conspiracy and A Fellowship of Differents. If you too have longed for someone who understands some of those great looming questions, and yet hoped that there might still be a way forward for faith, hope, and love then I would love to encourage to check out some of Scot’s work (we’ve tagged a few resources below to help get you accquainted). 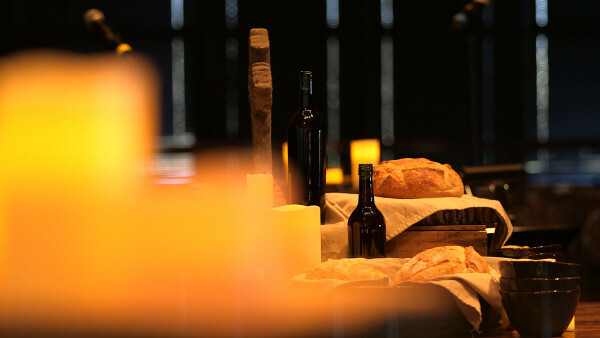 Even more, if you’ve ever wanted to dive deeper into the Eucharist, to take a Sunday to swim in the stream of this magnificent and vitally important practice of both our community and the entire Christian faith, then please come this Sunday night to hear and practice the Lord’s Table with Scot McKnight as our guide. 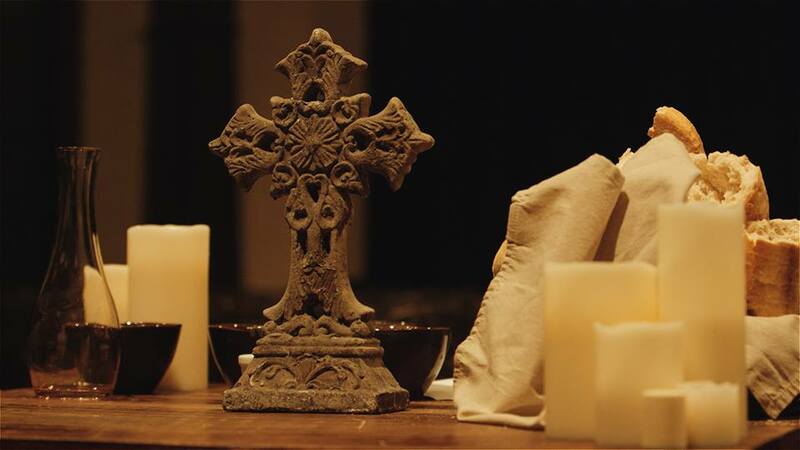 We’re continuing to share resources throughout the beautiful journey of Holy Week. Enjoy and explore today’s recommended article, sermon and visual liturgy to aid you in your worship this Holy Week. I was speaking with a friend today who encouraged me to make this extraordinary week of preparation for Easter extraordinary in my own life through my worship and practices. How amazing to realize just how extraordinary and momentous this week has always been in the life of the church – and what a privilege to celebrate it freely and joyfully! However you feel led this Holy week, may you find ways to make this extraordinary week extraordinary in your life. Check out this challenging article that explores the call to Calvary – to follow Jesus so that we may die, and rise again! “My God, my God, why have you forsaken me?” Jesus howled this agonized cry ast his execution. How could any good come from such a seemingly horrible end? Check out this sermon in which Tim Keller ponders the depths of what is surely most horrible, yet most wonderful question ever asked. 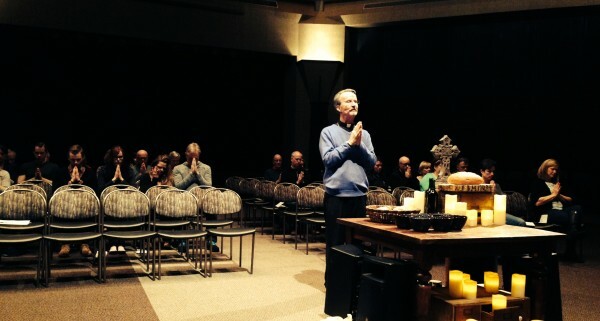 This past Sunday, John Perrine led us into the difficult Lenten theme of Dying to Self. Be sure to read all about it here. This journey of dying to self has been fraught with a lot of unhelpful teaching for most of us. For some of us the invitation to die to self has been a shaming command to kill all our desires. For others, we don’t know what to die to and what to nourish. It is a difficult but deeply important part of our spiritual formation, so no matter where you are in the journey remember – you are not alone, let’s keep pressing on together. We’ve gathered a helpful jumble of websites, online articles, books and videos to help you better explore the journey of dying to self. If you read one thing today I hope it’s Lynne Hybel’s article on what do we die to. I found it immensely helpful this Lenten season. It should come as no surprise that our beloved Matriarch has indeed explored and wrestled well with this concept of dying to self. 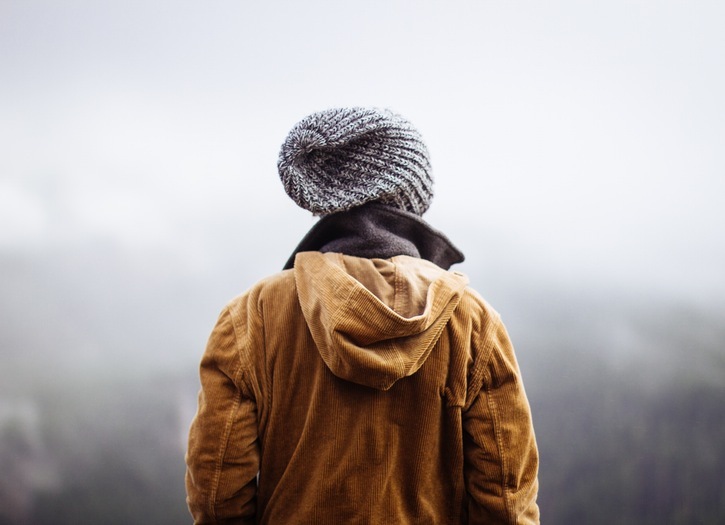 In this helpful blog post, Lynne shares her story of dying to self and explores the helpful distinction between what needs to die and what needs to live. We love Pete Scazzero and the good work he and his team are doing over at Emotionally Healthy Spirituality. By clicking this link you’ll be taken to a wealth of resources that help you to identify the false self – the self we need to die to! There is a great mix of sermons, articles and exercises to help you on your journey. The Just Life is a Chicago based non-profit that partners with churches to communicate God’s heart for Justice. As they explore where the heart of just comes from, check out this helpful collection of Scripture passages on dying to self and a beautiful prayer litany on humility. This book should be a cornerstone in your spiritual reading. It encourages and provides wonderful insight into knowing the true self. As a lover of psychology and counseling – I just have to recommend this great read that essentially explores the neuroscience of sin. So helpful for the journey of dying to self – especially Chapter 12 “The Repair of Resurrection” p.221-234. No one has modeled a life of sacrifice in this Western culture and day and age, more humbly or beautifully than Shane Claiborne. This exploration of how to be an ‘ordinary radical’ were some of the first ideas that truly challenged my journey of dying that I may truly live. A must read. Click here to watch this short video by Dallas Willard is entitled, “The Cost to Follow Jesus” taken from his series ‘What Jesus said about following him.’Dallas Willard is a giant in Spiritual Formation literature and explores with great insight and wisdom how we are to weigh the cost of following Christ. This past Sunday we took a wonderful dive into the season of Lent with Father Michael as he led us through the transformative practice of The Examen. We wanted to share these resources with the community so that you could go deeper in your own learning and so that you could share with others this wonderful tool for spiritual formation. Of course we have to recommend the incredible resource that we shared with all of you last Sunday night created by our very own Aaron Niequist. His most recent creative project ‘A New Liturgy No 6: The Examen’ could not have come at a more crucial time to our community this Lenten Season! Aaron has created a beautiful recording of Fr Michael guiding us through The Examen – just as we’ve experienced at The Practice. 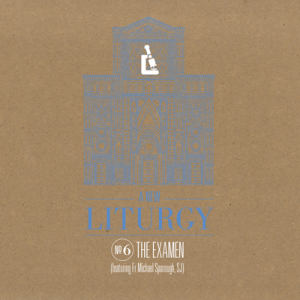 His New Liturgy includes a stunning musical score and three original songs that truly immerse you in the experience of The Examen, connecting us to God in a deep and daily way. For those of you who were there last Sunday, it was a joy to put one of these in your hands, but if you want to order another, recommend it to a friend or if you couldn’t make it and you don’t want to miss out – be sure to check it out at the New Liturgy website here. The fabulous ministry 24-7 Prayer are also using The Examen to explore Lent this season (check it out here). You have to check out their beautiful weekly video podcasts and companion guides that explore daily scriptures, further teaching, discussion points and challenges to transform lessons learned from The Examen into action. Their videos are released every Monday and can be found on their Youtube, Facebook and Twitter pages or can be downloaded straight to your phone, laptop or tablet by subscribing via iTunes. Fr Michael on What is Lent? Our beloved friend of The Practice, Fr Michael will be joining us this Sunday to give us his much needed insight and clarity into the season of Lent and to teach and guide us through the practice of The Examen. Join us this Sunday, 6pm in The Chapel to hear more. We can’t wait to see you.